If you live in Delhi NCR or have travelled to Delhi NCR or just about any other metro city in India, you know how hectic and noisy life is here. But it is possible to escape all this madness, and yeah you can do that in India. No! you need not climb mountains to find this serene place for yourself(although that is also a good option), you could go to Kerala instead and yes by Kerala, we mean the famous Kerala Backwaters. The backwaters are a mesh of salt water lagoons, lakes, canals and inlets that run parallel to the west coast for almost half the length of the state of Kerala. It is spread across various villages and districts. They were initially meant for transit for the locals but the serenity and the charm of the backwaters now attracts a number of tourists/travellers. LAZY! In every sense. Imagine having a boat to yourself as you relax and enjoy the beautiful views and when the only sound you hear is the sound of your boat gliding through the waters. You will occasionally see other boats passing by and someone smiling or waving at you. You see all the villages along the backwaters and the people going about their daily activities like washing clothes in the backwaters, fishing and even bathing! It is interesting to see that these backwaters are means of transport for a number of people everyday. We saw people ready to go their workplaces waiting for the ferries on the ferry stops; a man rowing a canoe carrying fresh produce from the fish market; and ferries carrying daily passengers; a group of boys hanging out on the banks of the backwaters and some cows grazing the lush green fields. From small houses on these “islands” to bigger bungalows,you also see the striking contrasts in the houses. Do I need to book a Houseboat? It is completely your choice.Rooms on one of the Houseboats start from about 3000 INR per room and can go upto 10,000 INR for a room for one night. There are a number of luxury houseboats also. There are also ferries available, which are the local way to explore the backwaters. You could just stay in any of the hotels/home-stays and just hire a boat/canoe on an hourly basis. Even better if you ask your hotel or hosts to book one for you, because the prices can be steep and they can get you a better deal. If you have the budget, houseboats are a good option to just relax and spend a day/night in the backwaters, observing life along the banks. It is ideal for couple who are looking for some intimate time with their partner. Prices are up from about 4000 INR per night. For bigger groups (7-15) people there are boats which can be rented on an hourly basis. 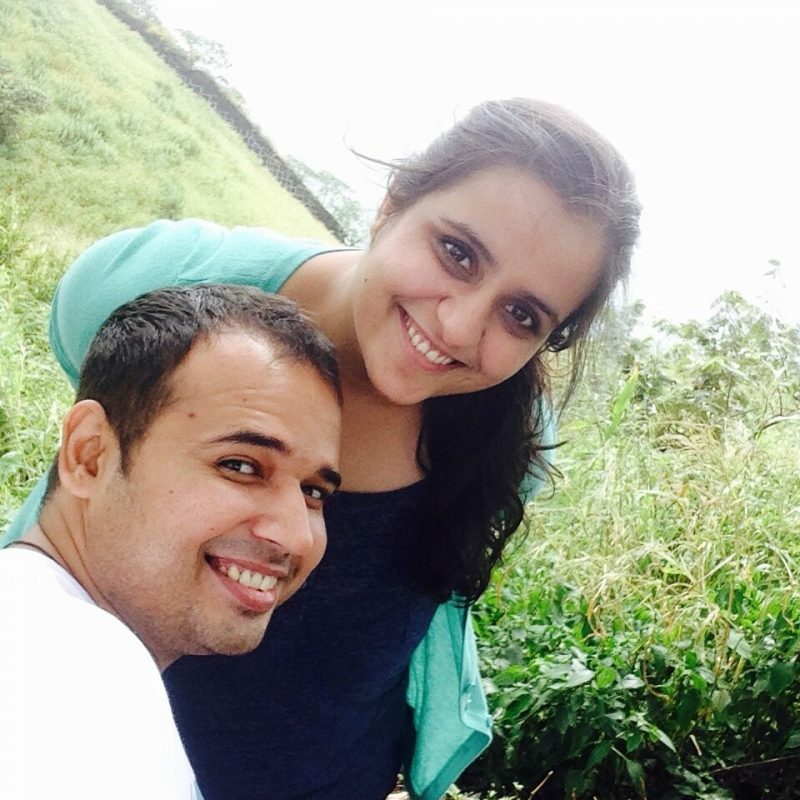 They are usually about 500 INR per hour. If you are travelling solo or with your partner, you can either book one of the seats on the boats for larger groups or you could rent a canoe. For people who want to closely observe the village life along the banks of the backwaters, the best option is to go in canoe as they even go through the narrow waterways. You could also take the village walking tours where you reach these villages by a canoe to a village, spend some time there and get to understand the life in the villages better. If you want to travel like the locals, then you could take ferries operated by the Kerala state water transport. Best time to go to the backwaters? The weather is Kerala(Alleppey) is pretty much pleasant throughout the year. To experience the backwaters, monsoons (June-August) should do avoided. But also try to avoid the peak tourist season because house water boat jams are a real thing and prices are way higher at that time! 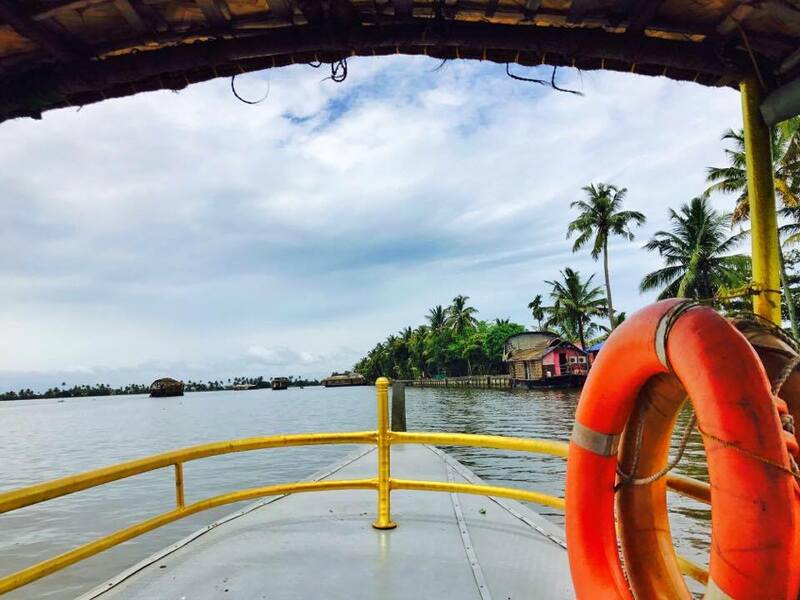 If you are going for a day cruise on the backwaters, we recommend going early in the morning to beat the traffic or to go for a sunset cruise, when you can relax and click some stunning pictures of the backwaters. Ideally October-march is the best time to visit Kerala, specially if you are going for the backwaters. If you are booking a house boat, book through your guesthouse/hosts as they will get you better deals. However, if you are very particular about the kind of houseboat that you want, you could go to the boat jetty and book after checking out different boats. 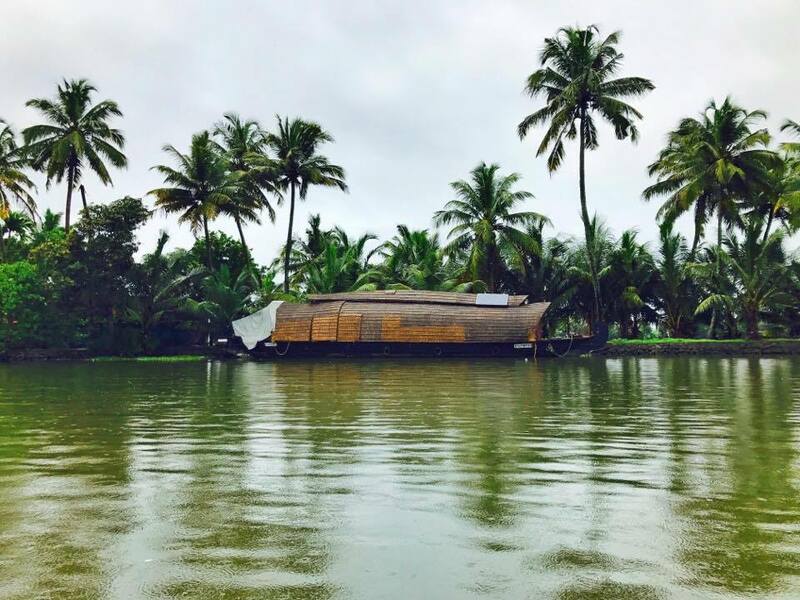 Bring a book: You will have all the time to yourself and it is a perfect setting to read a book as you glide through the backwaters. Bring Binoculars: If you are going a bird watching tour through the backwaters, don’t forget your binoculars. Book ferries with the Kerala state water transport to get the best prices and to do the backwaters on a budget. If you are travelling with kids, you might want to bring something to entertain them because it might be relaxing for the adults but kids need something to keep them occupied. And if you are planning for an overnight cruise then it is an absolute must. You can even try a speed boat through the backwaters if you are always looking for adventure( we spotted quite a few people on moto boats). Best routes for Backwaters cruises? Alleppey-Kollam is the most famous route for the houseboats. You can either start from Alleppey or from Kollam. 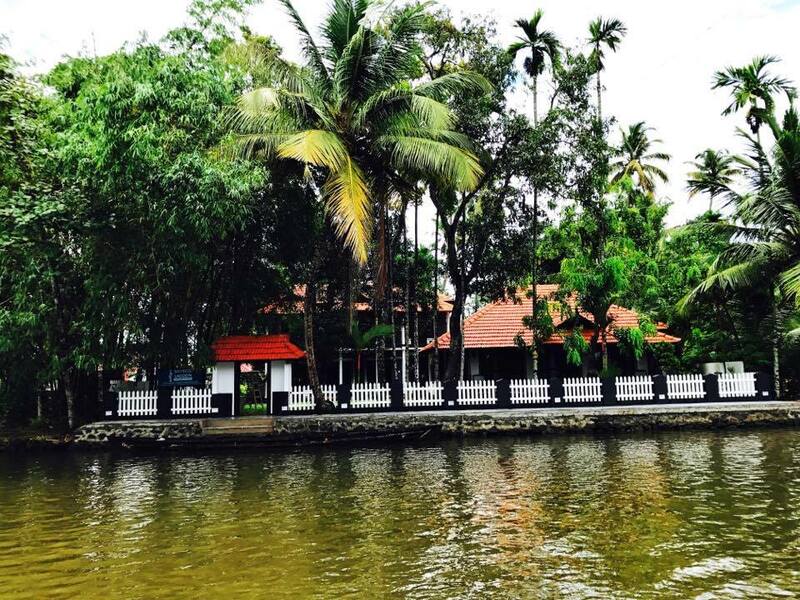 In Alleppey, a house oat cruise in the famous Vembanad lake is also a favorite among tourists. Alleppey-Kumarakom is avoidable because it is very wide waterway, which almost doesn’t even feel like you are going through the backwaters. However, it has some luxury resorts along the banks(if you are going on that kind of trip). Whichever way you choose to explore the backwaters, it is an amazing experience and we strongly recommend it. We loved it so much that we are already planning to back again. They are not called “Venice of the east” for no reason.